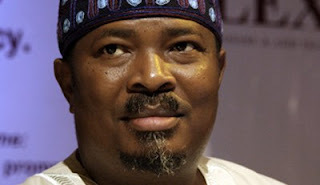 The Chairman and Editor-in-Chief of Thisday newspaper, Nduka Obaigbena, has said the immediate past National Security Adviser (NSA) Sambo Dasuki, paid him N670 million as compensation for attacks on his newspaper’s offices in Abuja and Kaduna in 2012. He said he also received compensation for the illegal seizure of newspapers by men of the armed forces. Mr. Obaigbena made the disclosure while responding to an invitation by the Economic and Financial Commission (EFCC) in connection to the ongoing probe into the usage of $2.1 billion arms procurement fund by the office of the NSA under Mr Dasuki. Mr Dasuki, alongside so top officials of the former ruling party, the Peoples Democratic Party, and other former senior officials are currently being investigated for the alleged diversion of the fund. Mr Obaigbena is the second owner of a mainstream media organisation, after the founder of DAAR Communications, owners of Africa Independent Television and Raypower radio network, Raymond Dokpesi, who have been mentioned in the investigation. Mr Dokpesi, who is still in EFCC custody, is facing a six-count charge of fraud and money laundering in a federal High Court in Abuja. In a letter, dated December 9, 2015, addressed to the Chairman of the EFCC, Mr Obaigbena explained that he was in the United States and would honour the invitation in person as soon as he returned to the country. He, however, stated that he thought it necessary to issue a statement prior to his return. He denied to have ever received any suspicious funds from the office of the NSA adding that all funds he received were “payment for compensation to mitigate” terror attacks on the head office of his newspaper in Abuja and another attack on the newspaper’s office in Kaduna. “N100,000,000 +N100,000,000 and N250,000,000 respectively received in August, November and February 2014 as compensation to mitigate the dastardly Boko Haram twin bombing of the Thisday newspapers offices in Abuja and Kaduna on Thursday April 26, 2012, during which four innocent Nigerian lives were lost, our building destroyed and we lost full colour Goss printing towers and three (3) pre-press Computer-To-Plate and auxiliary equipment and other (in)valuable property valued at over N2.5 billion having lost our printing facility to terrorists due to inadequate protection by the Federal Government of Nigeria,” he wrote. Mr Obaigbena added that he was compelled to make the request after the federal government spent N3 billion in reconstructing the United Nations office that was bombed by Boko Haram in August 2011. Mr. Obaigbena explained that as the Chairman of NPAN, he did that to forestall a planned class action the newspapers were going to institute against the government. He explained that on both occasions, former President Goodluck Jonathan initially refused to accede to the demands so as not to create a precedence but later approved the payment after he (Nduka) confronted him with the effort the government had undertaken to reconstruct the UN building.